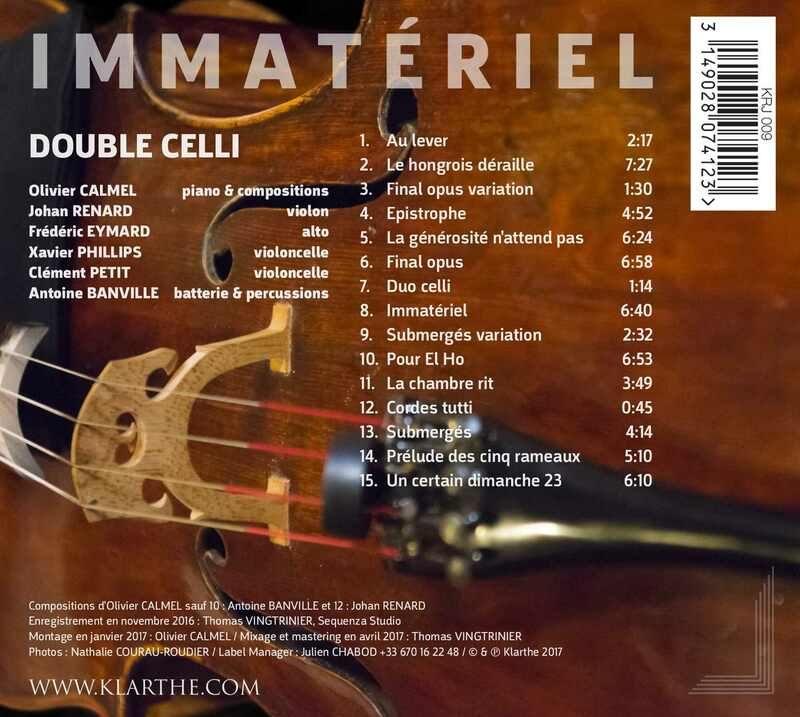 For this new creation, Olivier Calmel makes the bet of a new band which sound is based on strings and percussions, and surrounded himself with exceptional musicians, soloists and improvisers, tightrope walkers. Pleasure, risk and sharing are the stakes of this encounter. 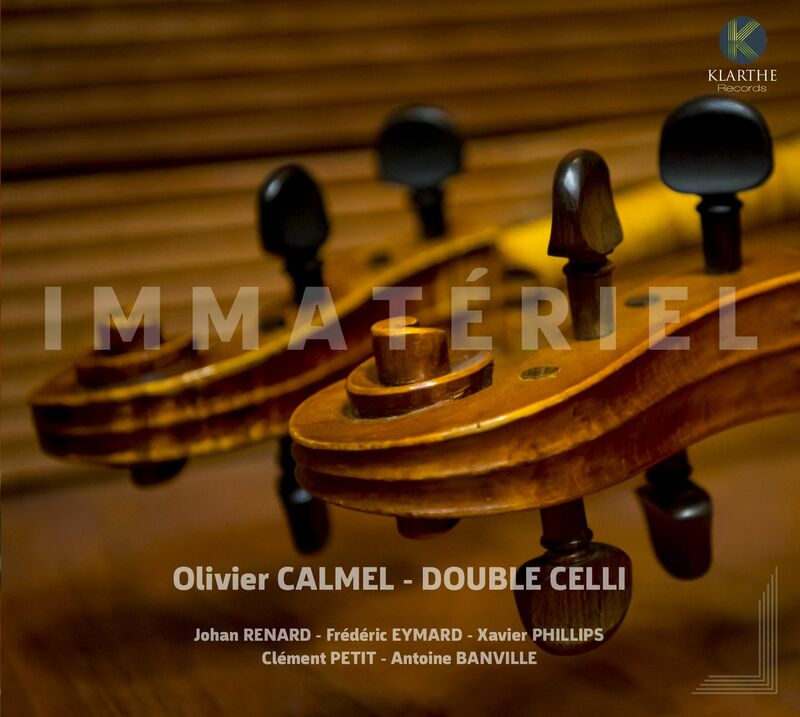 DOUBLE CELLI invites us to discover a chamber jazz where everyone knows how to preserve his own voice while putting it at the service of the band. Acting sometimes as a duo, trio or even quartet for an intimate and passing encounter, the musicians constantly twirl and respond in a subtle sway to offer music in a state of weightlessness, beautiful, intelligent and modern.